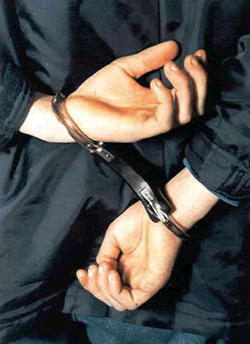 If you have been arrested and need a Monroe County bail bonds company you can trust, Anytime Bail Bonding, Inc. is here to meet your needs. We will post your bail the second you pay our small service fee so that you can regain your freedom without waiting. Our goal is to provide high-quality Monroe County bail bonds to those who come to us for help and support. When you reach out to our team for guidance, you will know we are the right company for the job and that we won’t let you down. Call us at (678) 688-1111 or visit our office at 1434 Meriwether Streete, Griffin, GA 30224. Learning about the bail bonds process in Monroe County is a good starting point if you need some direction. The police will arrest you when they have probable cause to believe you have committed a crime. Although you are innocent until proven guilty, the legal system will hold you behind bars until your trial to prevent you from running. To make things fair, a judge will set a bail amount you can pay to regain your freedom. Bail is often so high that people can’t afford to pay it on their own, leaving them stuck in a cell. Getting bail bonds in Monroe County GA defeats that problem and lets you move forward with your life. If you understand the benefits of getting bail bonds in Monroe County GA, you are likely wondering how you can get started. You begin the process by reaching out and letting us know about the situation you are facing. We will then speak with the court on your behalf to learn your bail amount so that we can name our price. Once you pay our small service fee, we will post bail and get you out of jail in no time. If you have more questions make sure to check out our FAQ. You could be wondering why you need bail bondsmen in Monroe County, which is a great question. You might be able to afford bail without looking for help, and this path seems like a great idea at first. You must remember that bail is often so high that it will put a dent in your budget even if you can afford it. Getting the help of a Monroe County bail bondsman lets you move past that roadblock and get out of jail without breaking into your savings account, making your life much easier. When you reach out to a member of our caring team, we will speak with you and offer a great price. A team of professionals who care about you is what you can expect from us when you let us give you a hand. Our bail bondsmen in Monroe County are ready to have your back and let you reach the outcome for which you have been hoping. If you or someone you know is behind bars waiting for trial, contact Anytime Bail Bonding, Inc. right away at (678) 688-1111.